Adrian is a big fan of the Shakerleg site we made and asked us to step it up and deliver something bigger and better. We went to some of his shows and did some documentary style photography (using our Nikon N90S 35mm film camera!) It took some time to find a good lab but Duggal in Manhattan really delivered some amazing prints for us. We then turned the photos into these polaroid inspired flyers for his weekly gig at the Mark Bar in Greenpoint. Adrian plays the rhodes keyboard which has an amazing grungy sound, you really have to hear it. 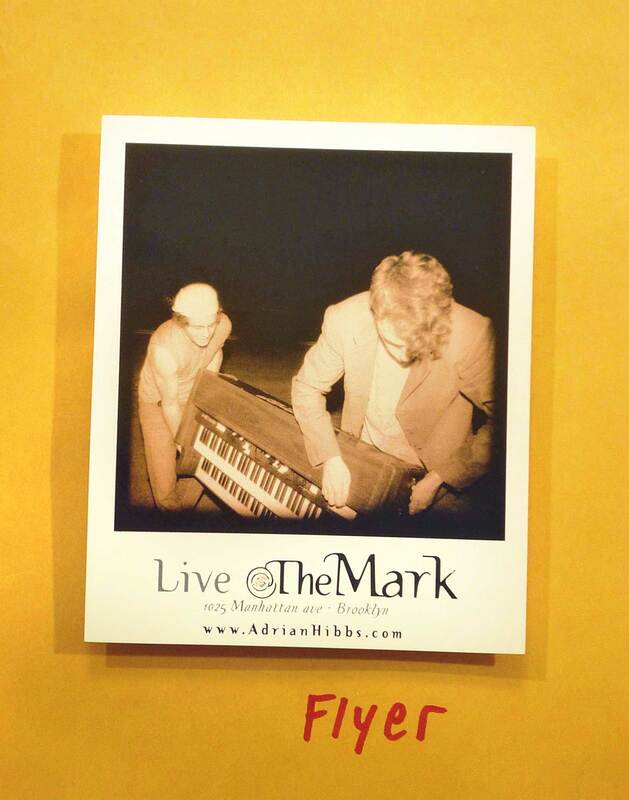 His funk/jazz combo is out of this world, get over the the Mark Bar on 1025 Manhattan Ave. to check them out. Launched their website and some web promos, as well as put some music online. Promise to put up screenshots soon.